Fool Church Media is proud to announce the republication of George Jansen's wonderful novel, "The Jesse James Scrapbook". It has first been issued as an eBook, but will soon be followed by a paperback book. 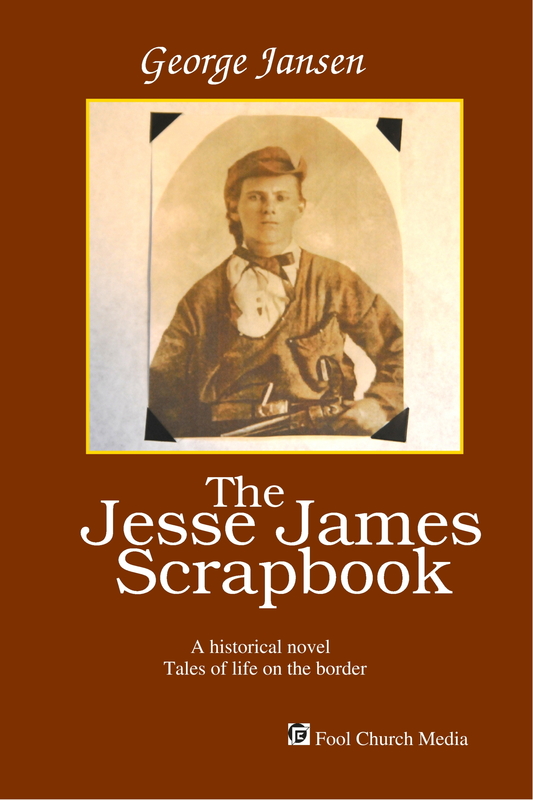 The Jesse James Scrapbook is an historical novel which covers the life and times of Jesse James, the Civil War and its aftermath. It is told by people that actually knew Jesse. This life and legend of Jesse James is a collection of fictional interviews, letters, newspaper articles and court documents, woven into a fascinating and dramatic portrait of that period of American history. For a full description of this book, a sample chapter, and where to buy it, click here.